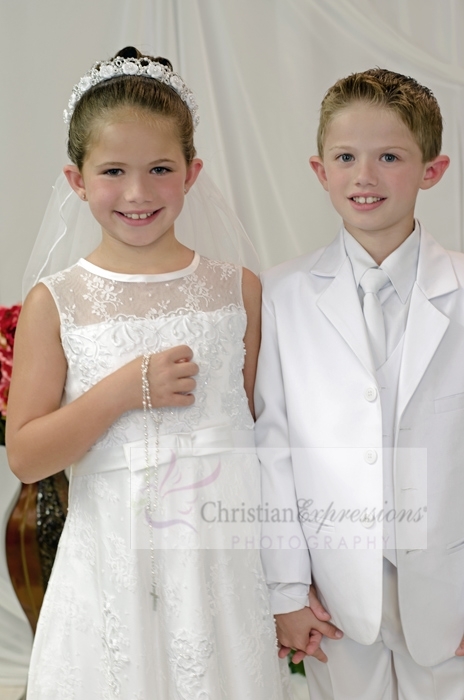 This First Communion Wreath Veil Features Satin roses with large pearl center. 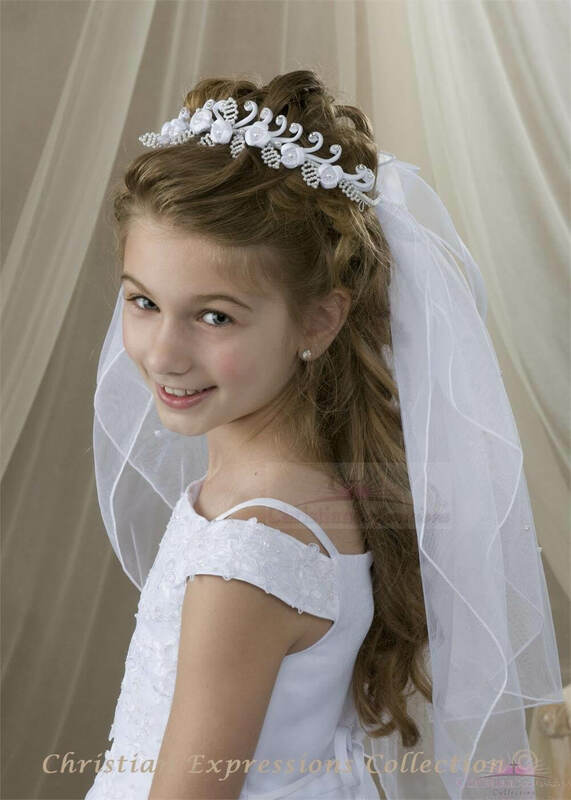 Satin semi loops with alternating pearl and crystal accents, Pearl leaves accent this pretty first communion wreath bun wrap veil. 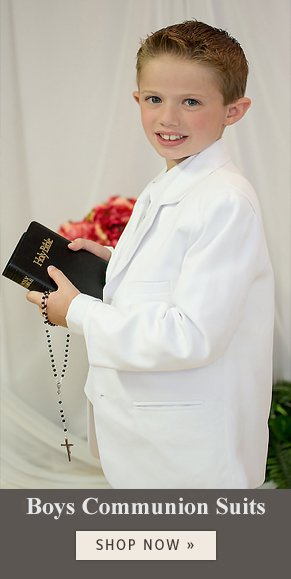 Two tier white first communion veil is attached to headpiece and is adorned with scattered pearls.